CIRCA 1918 - French troops march through Charpentry. hd01:21CIRCA 1971 - The city of Shiraz, Iran is modern, but tradition dominates in the 1970s. hd00:36CIRCA 1919 - General James Guthrie Harbord and General Charles Laurie McCawley visit the Rochefort docks in La Rochelle, France. 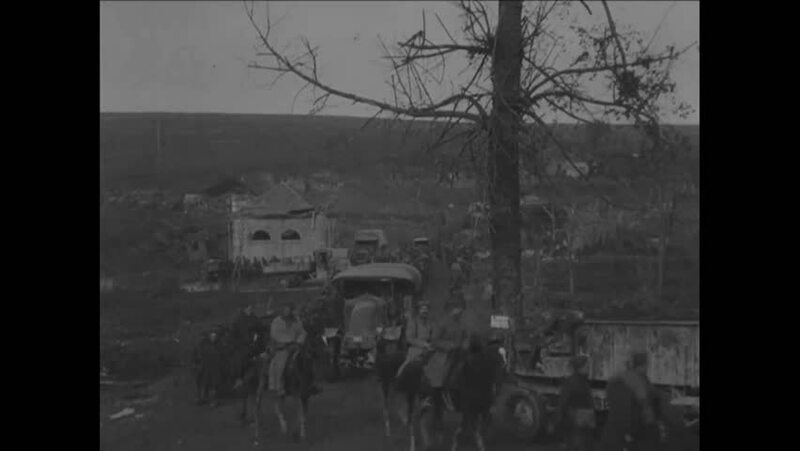 hd00:52CIRCA 1918 - American soldiers load provisions onto horse-drawn trucks in France. hd01:06CIRCA 1910s - 1914 logging camp activities in America including a sawmill and a railway trestle is built. hd01:19CIRCA 1938 - Americans learn that there are Nazis living among them; some meet at Madison Square Garden and pledge allegiance to the American flag. hd00:33CIRCA 1918 - French soldiers fire artillery from camouflaged areas.